There is an alarming trend that continues to grow in America. Too many people are forgoing the benefits of visiting their dentist semi-annually for cleanings and examinations. Preventive dentistry is one of the main pillars of oral health, but statistics show that people are seemingly becoming less responsive to proactive care. Your dentist in Dix Hills discusses some of the stats and reveals what problems can arise by skipping visits with your dentist. Researches tracked dental visit habits through several data sets and demographic groups, and discovered some disturbing statistics. Who Visited the Dentist? – A recent study showed that 30% of American adults didn’t visit the dentist last year. Oher data showed that young adults between the ages of 18 and 29 were less likely to schedule and maintain a dental appointment than their middle-aged counterparts, between the ages of 30 and 44. And although the latter group is more likely to visit the dentist, their numbers are declining. Regional Growth – Researchers also found that 68% of people in the east visited their dentist, as opposed to 60% in the south. The most disturbing thing about these data groups, though, is that the numbers aren’t growing in either one. Gum Disease – Preventive dentistry is one of your great defenders against gum disease, which is caused by bacteria and plaque that accumulate on your teeth over time. At a semi-annual visit to your dentist, he can catch a developing a problem early and inform you, so you’ll know how to correct your oral hygiene. Tooth Loss – Another dreadful result of poor oral care can be tooth loss. Tooth decay and gum recession can, over time, loosen a tooth’s roots, leaving it susceptible to falling out. Oral Cancer – One of the more severe conditions that your dentist checks for during your thorough examination, is signs of oral cancer. By forgoing your visit, though, you leave yourself open to the possibility of suffering from this disease without a professional to alert you early enough to act upon it. None of these scenarios have to apply to you because you have the power of choice. 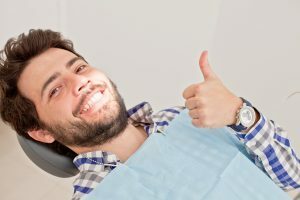 You can choose to visit your family dentist in Dix Hills and get on the front end of any issues that may arise, as well as maintain the optimum oral health that you want and deserve. Dr. Rajanesh Gaur received undergraduate degree from State University of New York at Binghamton and went on to graduate from New Jersey Dental School at the University of Medicine and Dentistry. He practices at Dix Hill Family Dentistry and can be reached for more information through his website.